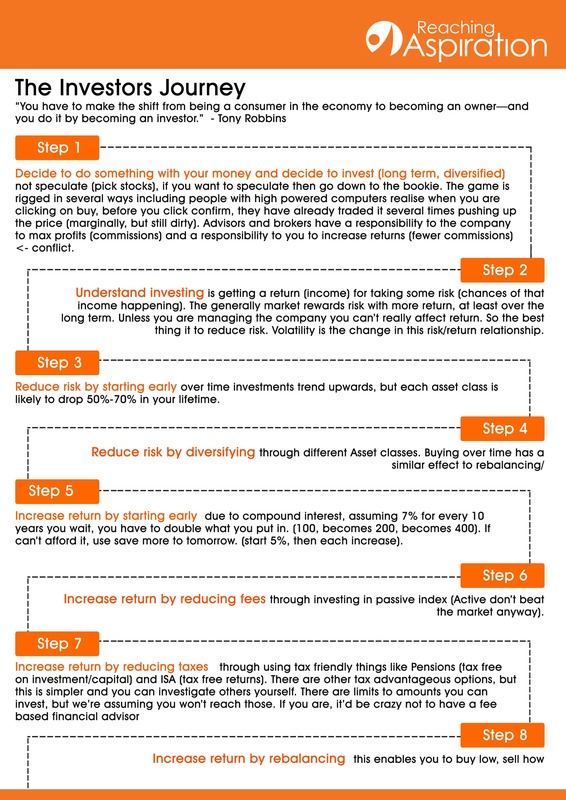 Shifting away from the mindset of a consumer or speculator (guessing on stocks or fund managers) to an investor can be illustrated in 8 steps. Key is managing risk and getting your best possible return at that level of risk. These 8 steps are a great start and part of our mission to reduce finance anxiety by increasing the level of financial literacy.